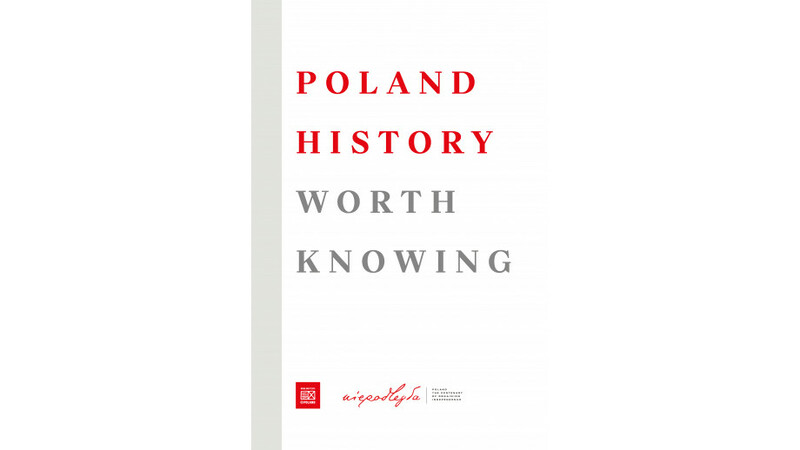 On the occasion of the centenary of Poland's regaining independence, the Polish Book Institute has prepared a special catalogue “Poland - History Worth Knowing” for the first time. The catalogue will be presented at the Frankfurter Buchmesse book fair. It will introduce works about the history of Poland which are considered the most interesting from the point of view of both foreign publishers and readers. „Our choice was motivated by the desire to present the Polish path to regaining independence and, even broader, the history of Poland, with particular emphasis on the Polish traditions of openness, multiculturalism, and tolerance, in the most cross-sectional and accessible form for foreign readers”, says Mateusz Adamski, a foreign cooperation specialist. Therefore, the catalogue includes recognised works by Norman Davies, Andrzej Nowak, and Andrzej Chwalba, as well as fundamental biographies of the fathers of independence by Adam Zamoyski, Włodzimierz Suleja, and Krzysztof Kawalec, and also books devoted to such figures as John Paul II, Captain Witold Pilecki, Jan Karski, or Irena Sendler. There can also be found belles-lettres (Przedwiośnie [‘The Coming Spring’]) and Iwona Kienzler's popularising book, which reminds us of the important role of Polish women in regaining independence and their significant influence on the politics of the reborn state, which was the world's pioneer in granting women full electoral and civil rights. “The stimulus of the project was the low level of knowledge of its target audience about Polish history and the lack of awareness of the dramatic challenges that the Polish nation had to face in the nineteenth and twentieth centuries. Hence, the choice focused on works that describe historical facts and personalities in the most accessible way. In addition, the catalogue has also included works originally published in English or already translated into English, which may have a significant impact on publishers' decisions regarding a possible re-edition or translation into other languages,” Adamski adds. While preparing the catalogue, the Book Institute asked a group of leading Polish historians and columnists for the selection of a dozen or so of the most interesting popular science and popularisation publications devoted to the history of Poland. Their indications were confronted with the aims of the project and the initial list prepared by the subject team of the Book Institute. This resulted in a list of 15 books presented in the catalogue. “We are convinced that one cannot get to know, understand, and like today's Poland without getting to know its rich past. We therefore believe that a book is an unrivalled medium for such a closer acquaintance,” the catalogue's goals are summarised by the Book Institute’s foreign cooperation specialist.